Our storage rooms come in all shapes and sizes and with over forty different sized rooms to choose from, our highly trained space consultants can ensure that you never pay for more storage than you require. Prefix Mr. Mrs. Miss. Ms. Dr. Prof. Rev. Put the space back into your life with Simply Self Storage. We can help to release the space in your home so that you can enjoy life to the full. 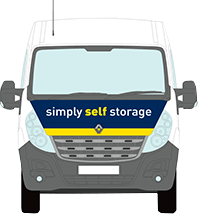 Simply Self Storage provides the business customer with a complete one-stop shop for all their storage needs, use us as your base in Aberdeen. Going Home for the Summer, Gap Year, Vacation or Starting Work? Isn’t it amazing how much stuff you accumulate during a year of study! We can help out by storing your books, clothes, pots and pans and whatever else you need to dump with us, leaving you and your backpack free to travel the world! Use our van for free when moving into your storage room! No waiting - sign today, move in immediately. No long term commitment - you can store by the month, year or for as long as you require. No hidden charges - no rates, no service charge, no utility bills and no maintenance costs. No paying for storage you don't need - rooms from 10 sqft to 600 sqft or more! No days without access - open 7 days a week. No charge per visit - free access as often as you need, during our long reception hours. No need to give us more than 14 days notice when you leave - move out when you like! Twin alarm system - one for the building and one for every storage room. Simply Self Storage is Aberdeen's first purpose built self storage centre established in 2006. We achieved accreditation from the Self Storage Association UK in January 2007. We offer all our customers an unrivalled professional and friendly service. As most of our space men have been with us from the beginning we feel we can really provide our customers with not only good advice but with years of experience. We will look after your goods as if they were our own. Unlike some other storage available in Aberdeen, we don’t do containers or crated warehouse storage, you have your own individually alarmed private room that only you have access to, giving you complete peace of mind. Jon & Michael made our experience pleasant and the transaction smooth. We would definitely recommend everyone to store at Simply Self Storage. 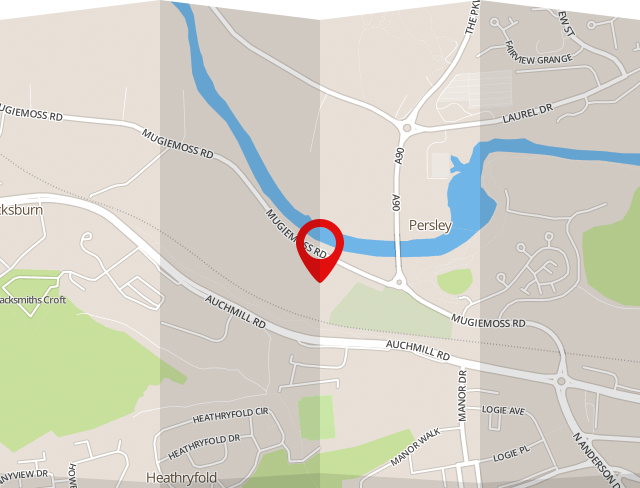 Self-storage is a pretty new concept in Aberdeen; however, this service was great. The service, location and price of the unit were great selling points for me and made my life much easier.